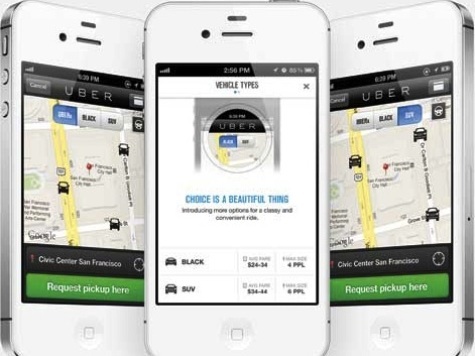 A court in Brussels has barred Uber, an international taxi network which allows passengers to summon a private driver by smartphone app, from operating in the EU capital. PCWorld.com reports that the court has threatened a €10,000 for every pick-up Uber attempts on the grounds its drivers do not have taxi licences and are engaged in “unfair market competition” with traditional taxi firms. The court’s decision was backed by Brigitte Grouwels, a Flemish Christian Democrat who is transport minister for Brussels. She accused the service, which offers fares at least 20 percent cheaper than other taxis, of threatening the ‘destruction’ of the established taxi industry. This is not the first resistance Uber Technologies Inc, an American start-up backed by Google and Goldman Sachs, has met in Europe. In Germany, Uber is considered to be operating in a “grey area” which could face challenge in court because German transport law does not allow drivers to make a profit through private transport. In Italy, taxi unions have organised protests. However, the issue of Uber before the Brussels court only became a big issue in Belgium following an intervention by Neelie Kroes, a former Dutch politician who is the unelected European Commissioner for telecoms. Kroes wrote on the official commission website that she was ‘outraged’ by the court decision and that it was ‘crazy.’ She encouraged people to protest. More, although the commissioner did say on her official website that, “I’ve met the founders and investors in Uber,” she avoided saying that the investors included Google and Goldman Sachs, companies which are politically-sensitive issues for many politicians in the EU. Nor did Kroes mention that Uber is engaged in the kind of sophisticated tax avoidance schemes which have attracted criticism by governments across the EU, and from the commission itself, for such companies as Starbucks and Amazon.